NO USA OR AAU REQUIRED TO PARTICIPATE!!! **All consolation rounds will be wrestled with 1 minute rounds. Overtime is 1 minute with 30 second tie breaker rounds if needed. Registration and weigh-in will be held at the Rimrock Auto Arena from 5:30pm to 8:00pm Friday night only. Absolutely NO late registration or weigh-in will be permitted as this is a bout system tournament with assigned mat numbers and bout numbers. Bring: Mandatory Liability Waiver, copy of state-issued birth certificate, singlet. The ½ pound rule will be in effect for this tournament. 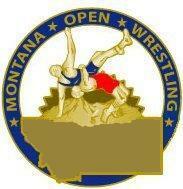 Once in the weigh-in area, wrestlers will be allowed to cut weight only if they are within ½ pound. Check scales will be available. Wrestlers must make weight in their singlets. Wrestlers are allowed to double bracket. However, the second bracket must be in the next older age group. Wrestlers who do this waive their right to any rest time between matches. Concessions will available throughout the tournament. Per Metra Park rules, there will be no food, drink, or coolers allowed into the building. Coaches’ passes will be available for purchase at registration. Passes will be $40.00 per coach which includes access to the hospitality room. Food and drinks will be served throughout the tournament and will be available with a valid coaches’ pass. Coaches’ passes cover gate admission, hospitality room, and coaching privileges. Clubs will be reimbursed 1 pass for every 7 wrestlers attending the tournament. Passes will be reimbursed at $35.00 per pass. The remaining $5.00 goes to the hospitality room. This tournament will be run using a true bout system with assigned mats. It will be important to communicate this to the younger wrestlers and parents that have not been around a bout system. Wrestlers will be assigned to a mat and they will wrestle on that mat all day.